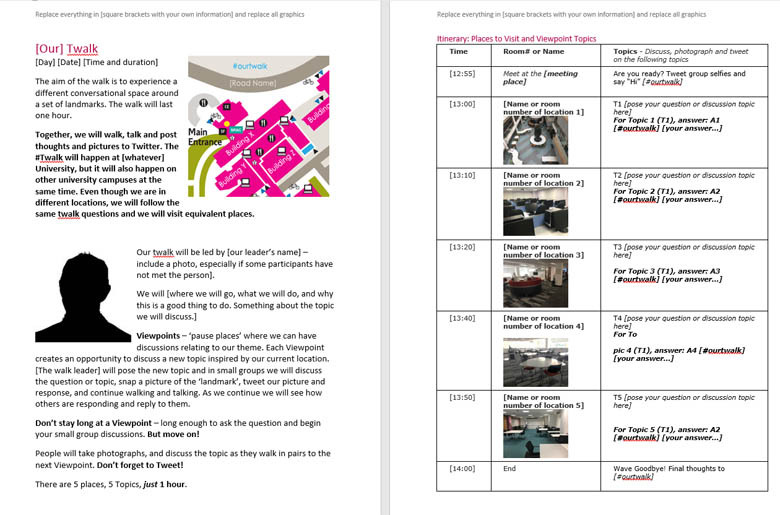 You can set out the ‘map’ in a blog page or VLE page like this. Introduction – what the walk is about and some intended outcomes. If the participants are new to twalking make sure they know why they are doing it as well as what they are actually expected to do. You’ll say this before setting off too, but include it in the map/instructions and encourage people to read it beforehand. The hashtag – your twalk will use a hashtag. Keep it short and unique so that it is easy to type and easy to search for. Make sure it appears throughout the document. Tweet format – How the hashtag and the activities need to be incorporated in the tweet. Tweters will need to include the hashtag, the answer number and their answer. It is helpful to give them an example. Date, time, timings, and timezone – every aspect of the walk needs to be carefully timed to that everyone is in sync wherever they are. Even if you don’t expect other people to follow your walk you need to ensure your walkers keep to your tight schedule. There will be many distractions including decent conversations and twalkers need to know to move on. A map! – A map with the names of buildings on it, the landmarks you’ll visit, and possibly directions. Note any particular hazards. Photographs – include photographs in your map along with the timings. They will help people to check they are in the right place and allow late-comers to recognise the places they are meant to be. Identify and structure your topic. Be clear about the outcomes you are trying to achieve through the twalk activity, especially if you are integrating this as a formative activity in your teaching. Student twalkers should be clear too – otherwise it can feel unfocused. Spend time identifying five questions (or discussion topics) and how they relate to the 5 places you will visit. Each one place will be selected because it represents a different idea and the focus of the question. This can be actual (e.g. “Photograph this machine and discuss if it is fit for purpose”) or metaphorical (e.g. “Stand on the bridge, look at the river. Discuss how flow and connection support this topic”). Write the topic questions – keep them brief to fit within the character count with space for your twalk hashtag. Topics or questions? – You can use discussion topics or questions. Questions require a response and can keep people clear and focused. They can close down discussion though. Topics are less structured, less clear perhaps, but allow each subgroup to make the conversation their own. Know you twalkers and what will work for them. Choose a brief and unique hashtag for your twalk. If it is short it will be easier to type on the move and leave more characters available for questioning or responding. 10 minutes conversations – arrange the #twalk around 10-minute intervals as this makes it clearer for everyone. You may have to sacrifice some good destinations if visiting them is unrealistic. First and foremost your pause points/landmarks must fit in with a one hour 5 point walk. The walk has to fit in the time available – Visiting 5 places in an hour will be a challenge. If necessary cut down on the landmarks and questions/topics. Think about the route and time it. Walk the twalk! – Walk the route at the earliest opportunity and photograph it. You will need the photographs to make your twalk map – the printed instructions you give everyone. Consider how twalkers will be briefed – they should be very clear about what they’ll be doing, where exactly they are visiting. Preferably brief Twalkers online so they have somewhere to get the definitive instructions. 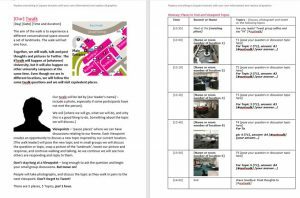 Create a print twalk map – ideally each twalker will have a printed copy of the route they are visiting. It is useful to make this available online beforehand. Include the timings, the questions/topics, and the hashtags. In this way, they can walk independently as small groups and pairs – it can be difficult if the walk leader is continually shouting across conversations to move people on. Maps and the weather – If it is a sunny day it can be difficult to read mobile or tablet screens, so printed ‘maps’ are a good idea! If it is likely to be a rainy day consider laminating maps or putting them in plastic sleeves. All bells and whistles – Consider taking a bell or a whistle to alert people that you need to move on! Stay in sync – make sure people know that you cannot wait. 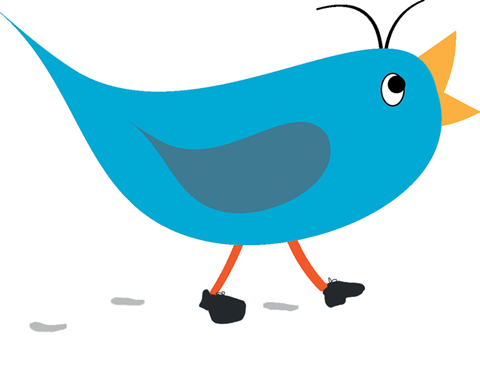 If you are part of a multi-site #twalk it is vital that you are in sync so you can connect your thinking and share your respective pictures to engage in the tweetchat dimension of the walk. Global timings – If expecting or wanting global participation, use the World Clock to check for timings. Note, scheduling your twalk backwards or forwards an hour can make all the difference for engaging people globally so think where your walking partners live. Post, post, post! – keep reminding people to post during the walk and remind them to use the agreed hashtag. Scribe – It may be useful to assign (if possible) the role of Twitter Scribe to at least one person in a walking group to ensure each group contributes at each pause point. Make sure the incoming and outgoing messages affect the conversations as intended. Prizes – the promise of a ‘best retweet’ prize or prizes for the best photo (etc.) may help. What did they say? – Brief twalkers to compare their experience to that of the other groups. A reporter role can be assigned to keep an eye on the hashtag and sharing points and questions raised elsewhere. Alert your twalkers – Be careful! Pause to tweet. Walking and tweeting at the same time is hazardous. Fun, fun, fun – Make sure everyone has a great time! Twalking makes learning fun!